Congratulations to Jonathan Parker (20.43) who set new course records on the day. all round. A special thanks to the Marshalls and Cake Bakers! 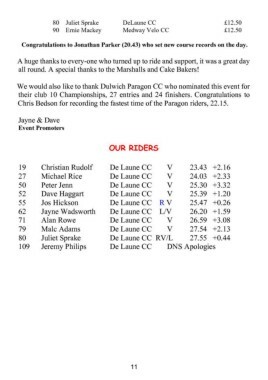 Chris Bedson for recording the fastest time of the Paragon riders, 22.15.